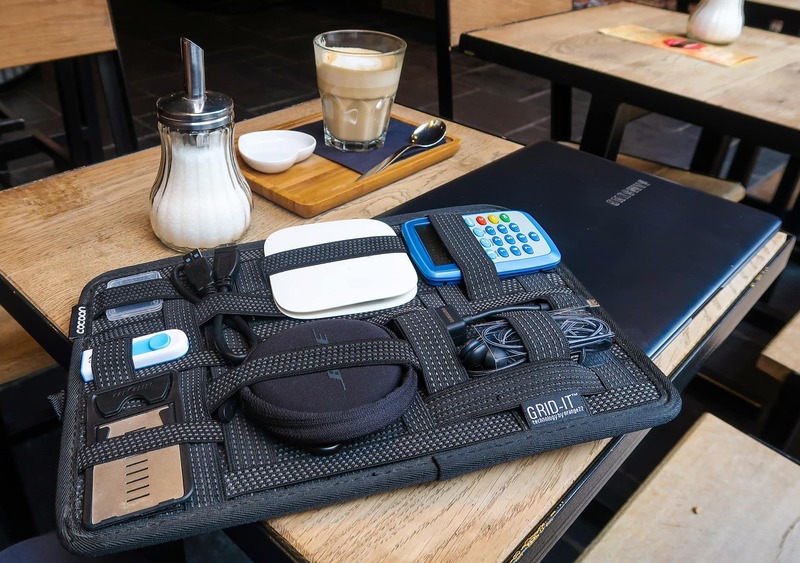 When Cocoon Innovations first came up with the ‘Grid-It’ system they must have known they had something pretty special, so special in fact that it’s now featured on nearly every product they produce, from backpacks to laptop sleeves. 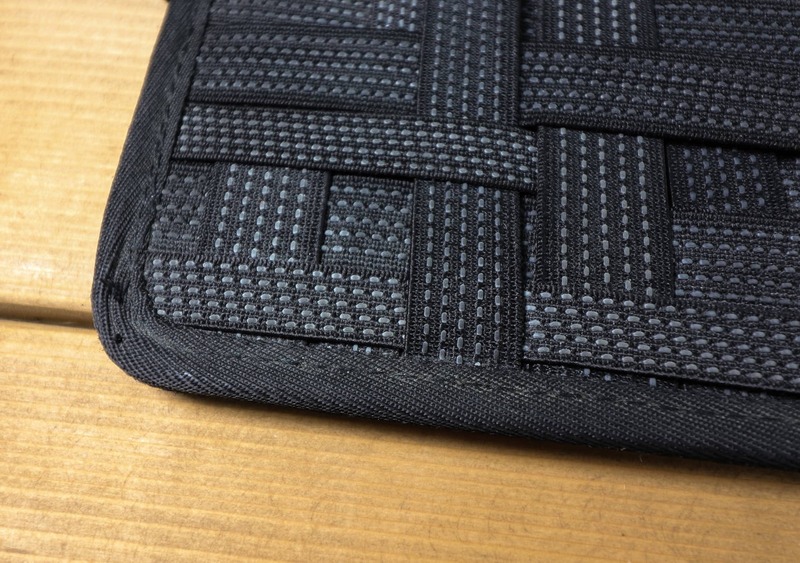 The organizer, their flagship product and what we’ll be reviewing, is effectively a flat panel featuring a unique weave of rubberized elastic bands, designed to hold and organize your gadgets. In their words it’s “a gadget’s best friend.” But is it? 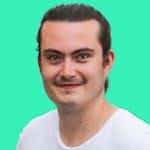 The Grid-It technology is proprietary patent pending and when you first take a look at it, it’s actually quite simple. It’s designed specifically to store, carry, and protect your gadgets, and that’s exactly what it does, very well in fact. The rubber on the elastic bands is really what brings this all together. They’re grippy enough to make sure that when you slot something in, it’s not going anywhere. The bands aren’t just rubber though, they’re actually fabric with rubberized dots running through it, meaning it’s nice to touch and you can slide things in and out with ease. The Grid-It works perfectly with items like an external hard drive. Even though smaller items like camera batteries might experience less tension in the bands, it works just as well because of the rubberized texture locking them in. If you can fit the item within the bands, you can pretty much trust it’ll stay in place. That being said though we feel there is a limit. We can just about get away with holding a macbook charger, but we don’t regularly, since it’s fairly heavy and makes it feel a tad lopsided. The frame-sheet of the Grid-It is pretty sturdy, when heavy items are added however there’s a certain amount of flex—you don’t want to push it. We’ve never had anything fall out of the Grid-It, and if you make sure the item is secured properly, you shouldn’t either. Over the three years of testing this product we’ve become really trusting in just how good the Grid-It technology is. That being said though we are careful with how we use it. It’s very rarely in the main compartment of a bag, where individual gadgets could snag on items and loosen. 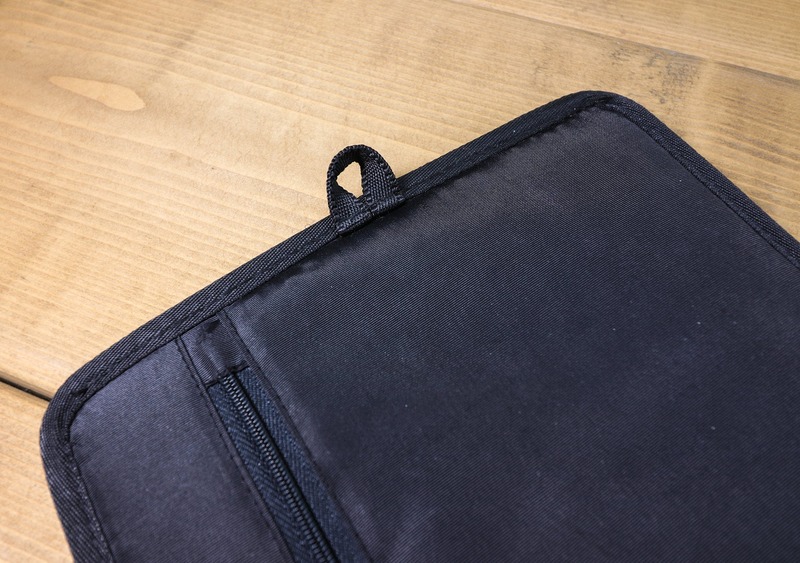 We primarily keep the Grid-It in either a slim secondary bag compartment or with the laptop if the bag has a laptop compartment. One downside of the Grid-It is that it provides no protection, your gadgets are not entirely encased, just secured with rubberized bands. This means you have to go out of your way to protect it. If you’re keeping it in your bag, for example, make sure that bag is padded enough. This is something we thought would be a bigger issue, but as long as you take care of it and know what to expect you’ll be okay—if you have an important hard drive secured in it, treat it like you have an important hard drive secured in it. We’ve found the elasticity of the bands to be really good. When you have a larger item, like a macbook charger that really stretches the bands in the weave for a long time, once it’s taken out the bands go straight back to normal with no loss of tension. We thought they’d at least be a little bit loose, but the Grid-It really impressed here. A big selling point for the Grid-It is that it’s completely customizable. There are hundreds of ways to fit all your items in this thing. The only downside is that you have to find the best way for you. If you’re utilizing all the space, then you could end up spending a fair amount of time trying to figure it all out. The Grid-It doesn’t need to be completely full though, depending on specific needs we find ourselves sometimes just using it with a few items. The configurations are truly endless, giving you the freedom to use it how you want. 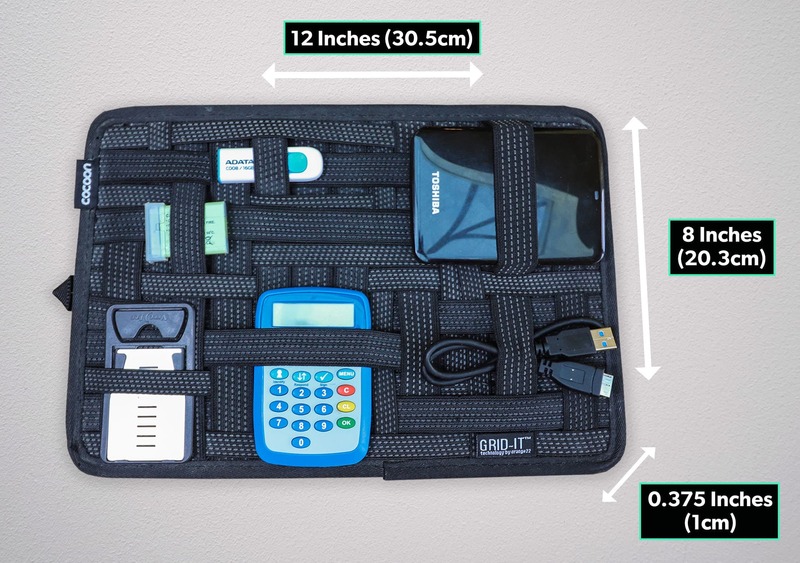 The medium sized Grid-It organizer that we’ve been testing is 12 inches (30.5cm) in width, 0.375 inches (1cm) in depth and 8 inches (20.3cm) in height. We’ve found this size to be perfect for one bag travel. 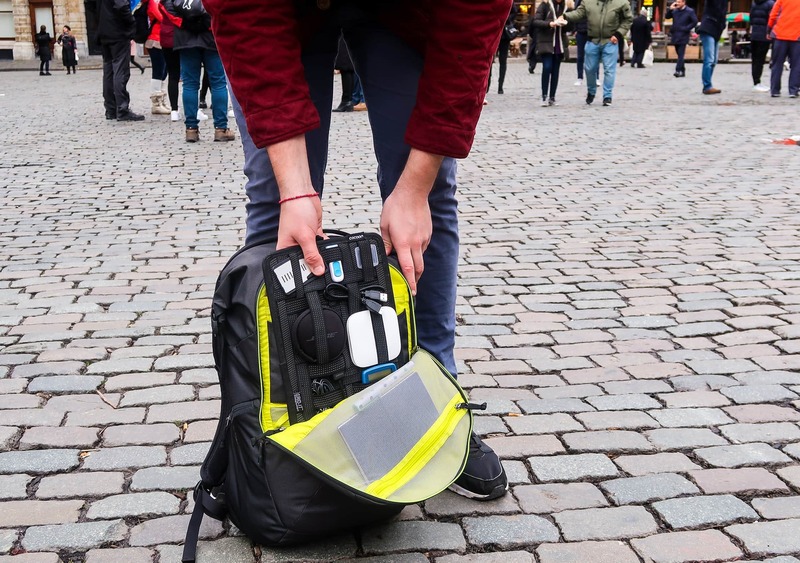 It will slot in to just about any daypack and travel bag with ease, and of course be just big enough to house all of your important gadgets. If you’re after something a bit smaller or larger though, fear not, Cocoon Innovations has you covered. They do a wide range of different sizes, from a 7×5 inch Extra Small to an 11×15 inch Large. You could have a large in your main compartment, a medium in your daypack and a small in your front compartment if you wanted to! The weight of the medium sized organizer is 0.731lbs (0.33kg) which is pretty lightweight. As it is, the Grid-It feels sturdy, with a bit of flex that won’t bend completely out of shape. It feels well made overall. Of course though the greatest consideration with weight comes when you start filling this thing up. Smaller items like usb sticks and memory cards aren’t going to add much weight, but once you insert heavier items—we’re looking at you, giant powerbank—it’s really going to add up. Cocoon Innovations doesn’t display the materials and fabric used in the Grid-It on it’s website, so we emailed them to find out. They replied–“Our list of materials are proprietary, however I can inform you that we use High grade materials consisting of polyester, taslon, elastic.” Turns out they don’t display this information on the website because it’s top-secret! This is understandable however, there’s some pretty cool stuff going on in the rubberized bands, and the Grid-It is proprietary patent pending after all. Even though the whole front panel is made up of the Grid-It weave, this thing is still rocking some really cool additional features. There’s a looped tab on the side so you can hook this thing up. We’ve actually never used it, but it is there. If your airbnb or hotel has a key or coat hook you could hang this thing up if you wanted to, as opposed to just leaving it on a side table. 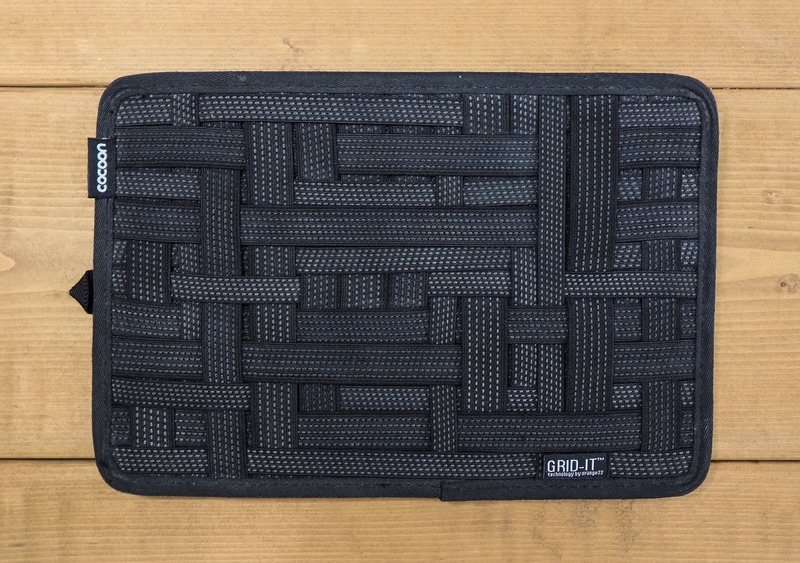 What we really like about the Grid-It organizer is the zipped back compartment. This little thing is great, and we found ourselves using it for a number of different things while traveling. 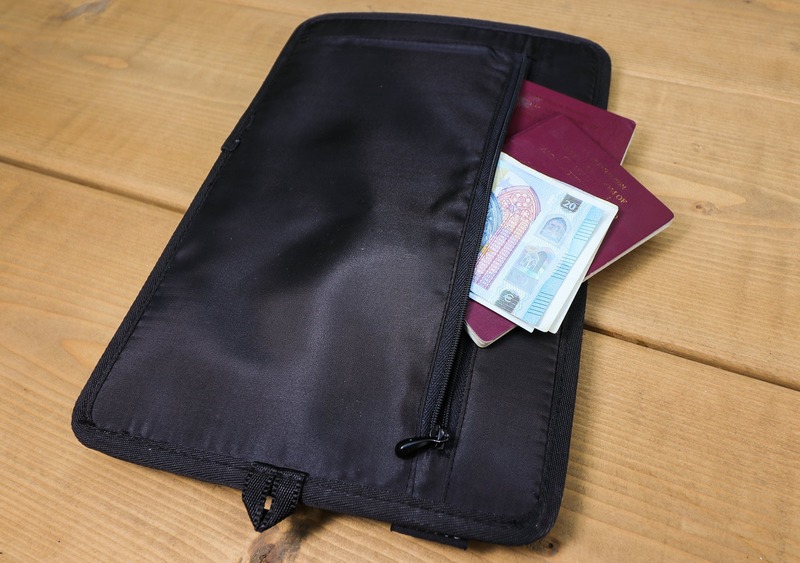 You want to keep it just for flat items, but it was perfect for things like passports and documents. We actually found ourselves using it frequently as a hidden compartment, storing some extra cash in case of an emergency. After three years of testing, the medium Grid-It has held up remarkably well, although it’s never in harm’s way. It’s usually safely tucked away in a bag or sat on a table which probably adds to it keeping so well, but still, three years is a pretty long time. The only notable signs of use are that it’s a tiny bit frayed and discolored around the edges. It doesn’t look brand new, but it certainly doesn’t look tatty. The rubberized elastic bands still work as new, holding each item firmly in place and the zip at the back compartment still works perfectly too. Looks great out of packaging, figuring out the best way to fit all the gadgets in is actually quite fun. Still looking as good as new, great stuff. The edges are just a tad frayed, but nothing remarkable. Slight discoloration around the edges, but really minimal, just looks used. No additional signs of wear of tear. The bands are still really strong too, no looseness whatsoever which is quite impressive. The Grid-It technology is great and holds every item firmly in place. The back compartment comes in really handy. Completely customizable with endless configurations. Takes a while to figure out the best configuration. This is probably an item you didn’t realize you needed until you had one. 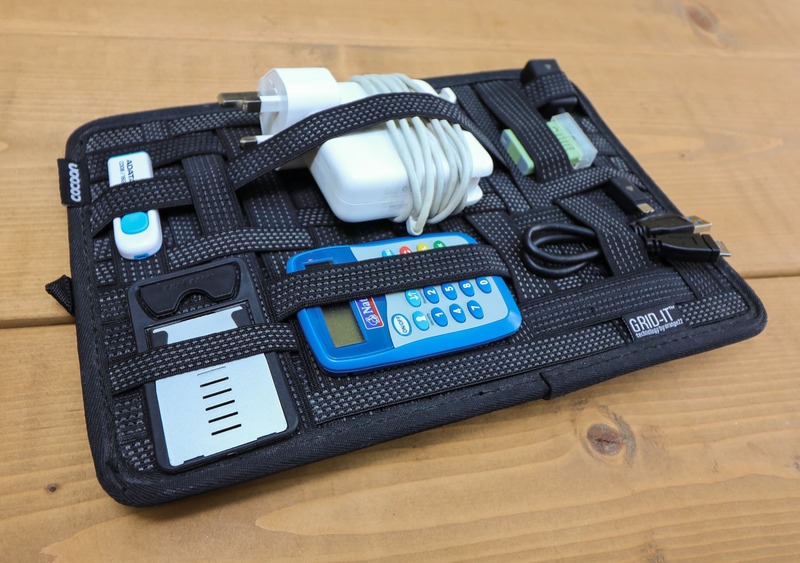 We all have become so used to gadgets lying around, stuffed in the bottom of bags or in a separate organizer pouch, that we wouldn’t think to go out of the way to actually use a Grid-It. But three years down the line, you’d be lost without it. 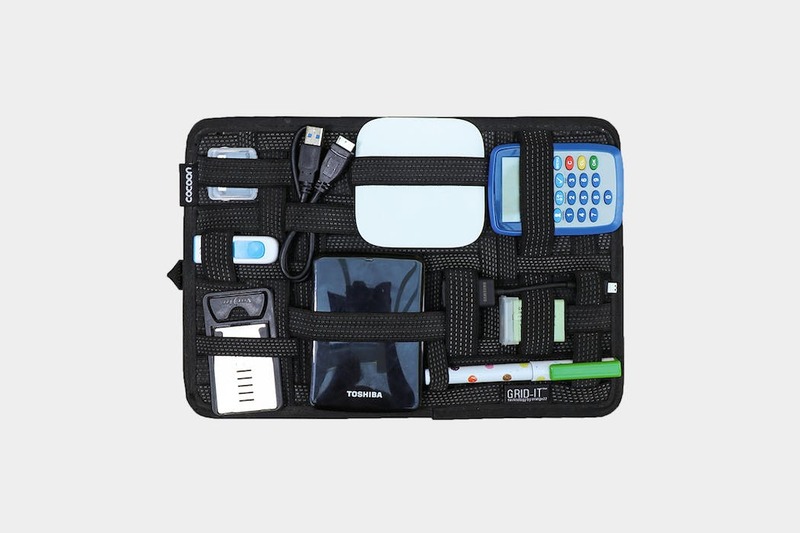 Once you have all of your important gadgets neatly organized and in one place, it’s likely you’ll never go back.